This is Steve Meakin's Alacrity Mk1 "Sabre". 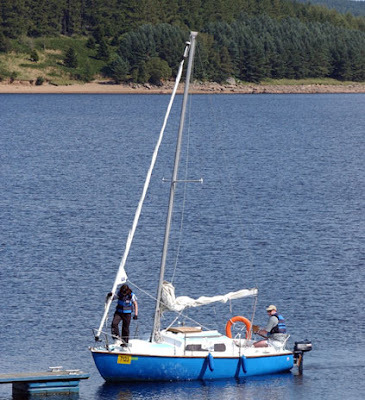 The boat was built by Hurley marine in 1969. 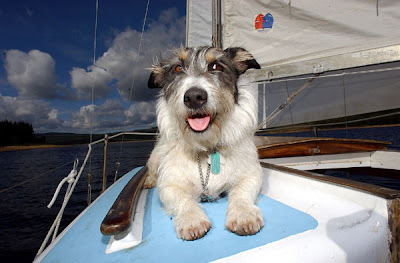 According to Steve she has "a furling genoa and tons of character." And quite a large crew, too. 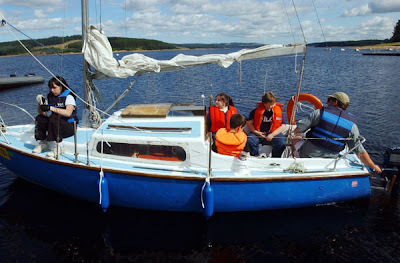 Sabre has been sailing on Kielder Water in Northumberland, UK. It's one of Europe's biggest man made reservoirs. However, Sabre is soon to be transfered to saltier waters again. 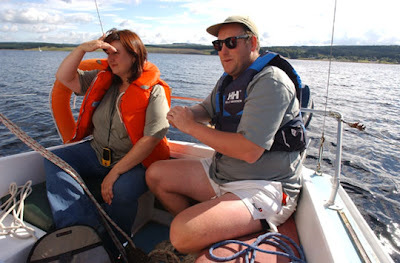 She will be happy to sail off the Northumberland coast. Sabre also has the main sheet attached to the middle of the cockpit. This is quite ususal on Mk1 models it seems.